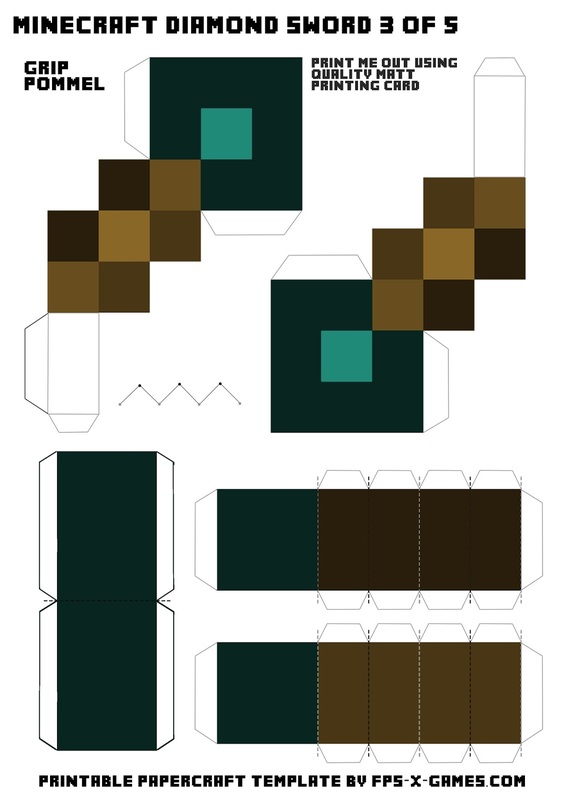 I mentioned in the (Minecraft Large Printable Iron Sword) post that I would add the other sword types. 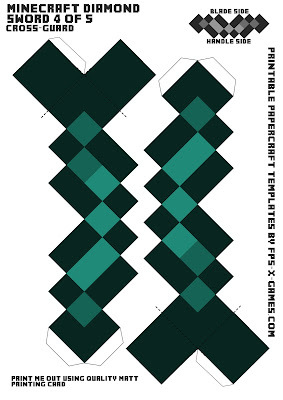 Here is the Minecraft Diamond Sword paper model template for you guys n girls to create. The wood, stone and gold swords will follow shortly. 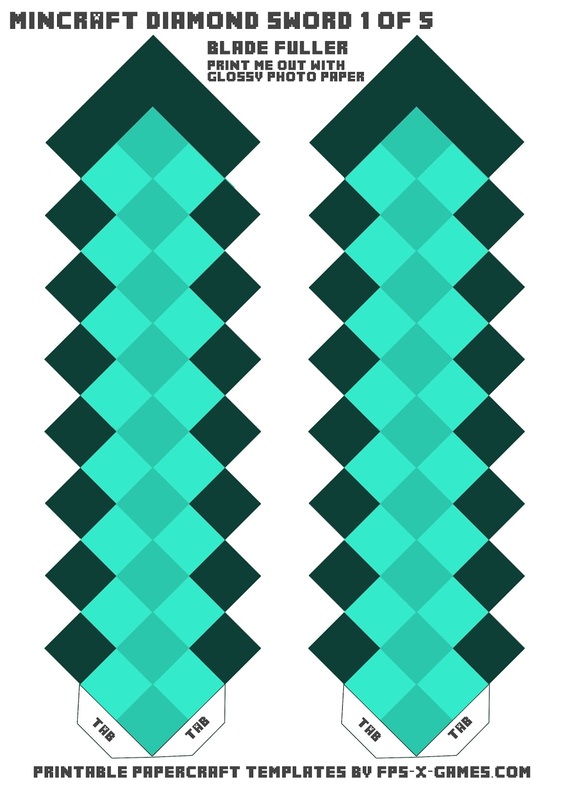 How to create your own Minecraft diamond sword? Download all five templates and save (Click images then right click and save as). 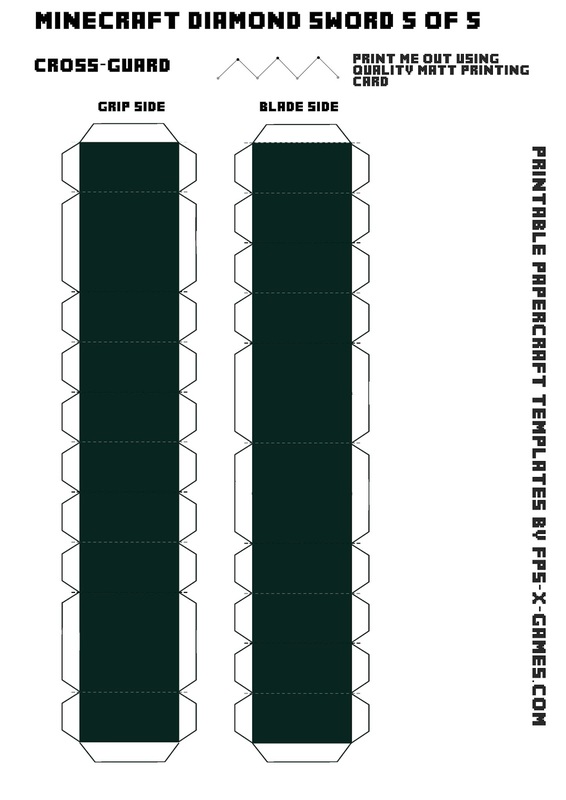 Print out the papercraft templates. 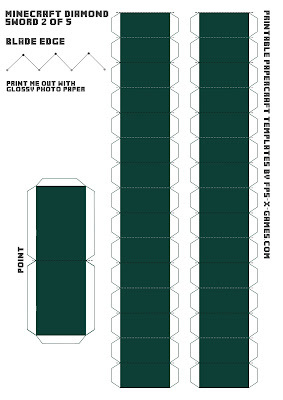 (Try using glossy photo paper for the blade and matt card for the cross-guard and grip). Cut out the Minecraft sword with scissors or scalpel whatever you prefer. Fold all tabs and guidelines. Before you glue make sure you know what part goes where and once happy start sticking it all together to create your own Minecraft diamond sword paper model. If you have any comments or anymore cool request then please let me know below or use the new FPSXGames forums. hi guys you can also put one video tutorial to amid help MORE? Yeah cool, like a big version or cup cake sized? kinda confused on the sides of the sword and how to glue them (the handle sides that stick out) I got the actual sides to the blade and handle but the part that goes from left to right in between the blade and handle is there not a back to glue on those parts?? Hey, sounds like the gross guard your're having problems with. On the template 5 of 5 you'll see a little diagram of a zigzag with colour dots, match the dots with the coloured guidelines, also note the size of the tabs in template5 and try and match with template4. It's tricky I know.